Backed by experts and experienced professionals, we are involved in offering White Cement Based Wall Putty. Wall putty and pop questions answered. 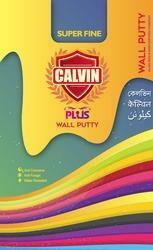 To meet the various requirements of the customers, we are involved in offering a wide assortment of Wall Putty. Dosage Coverage: Approximately I kg powder is adequate to cover 2t 2.5 sqm in I mm thickness. POWER PUTTY is a ready to use waterproof, finishing/smoothing material for indoor and outdoor building wall surfaces and ceilings. It renders a smooth and durable surface to all kind of decorative paints. We are a unique name in the industry to provide our prestigious clients an exclusive range of Household Acrylic Wall Putty. 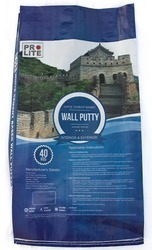 With phenomenal market understanding, we are able to manufacture an excellent range of Wall Putty. Alpha Luve Petro Chemical Co.